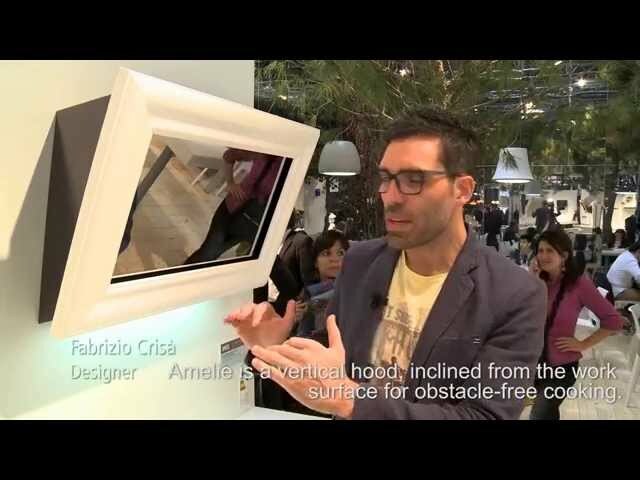 Amélie is Elica's new wall-mounted hood characterized by a distinct personality. The original combination of materials, wood and mirrored glass, provide versatility and customization. thanks to the frame in white lacquered, bleached or natural wood that allows colour customization. Amélie has a wide opening and self locking panel that simplifies the filter replacement. It is equipped with a highperformance & efficiency motor, double aspiration area and polyurethane filter, easy to use and maintain. The lighting is characterized by LED strips, with efficient and natural light effect.